I recently read Tamera Lynn Kraft’s Red Sky Over America, a novel about Oberlin College, and the role it played during the Civil War. The book’s Afterward included lots of information about the college and Ohio’s stance on slavery. Fascinated, I got to wondering about how Ohio contributed to WWII, another war that heavily impacted the U.S. The war hit Ohio immediately when it took dozens of its citizens during the attack at Pearl Harbor. Three Ohioans were posthumously awarded the Congressional Medal of Honor for their heroism during the incident, including Rear Admiral Isaac Campbell Kidd, Machinst’s First Mate First Class Robert R, Scott, and Seaman First Class James Richard Ward. About twelve percent of the state’s population served in the armed forces during the war. Of that number approximately 23,000 lost their lives, making the ultimate sacrifice. 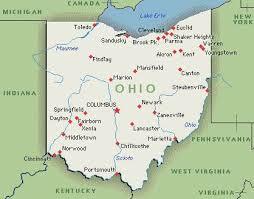 Like many other states, Ohio’s manufacturing plants were converted from civilian to defense industry production. (Click for photos of a Tire Plant Conversion). One of those businesses was Willys-Overland Motor Company, now famous for its Jeeps. In 1940, the government asked over 130 automobile companies to submit designs for a lightweight vehicle that could travel over numerous types of terrain. The challenge included a deadline of just forty-nine days. 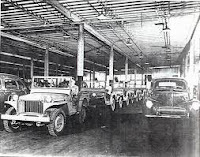 Willys-Overland was the second of two companies that succeed in making a submission. The government initially chose Bantam as the winner, but Bantam’s facilities were too small and unable to meet the demand. Given Bantam’s design, Willy-Overland made modifications that included a larger engine. These changes enabled them to win the contract. As a result, they produced almost half of the 700,000 jeeps manufactured during the war. Goodyear Aircraft Company located in Akron also participating in producing wartime materiel by manufacturing 104 airships for the military. The plant also manufactured the F4U Corsair for the Navy. From its humble beginnings of thirty-nine employees, Goodyear grew to over thirty-five thousand employees by 1942. During the war, the US Army Air Force created numerous airfields in Ohio to train pilots and aircrews of fighter planes and bombers. After the war, some were converted to municipal airports, while others reverted to agricultural fields. Others remained as installations during the Cold War. 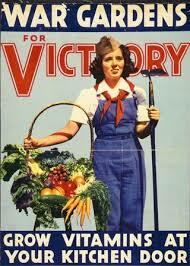 As with citizens all over the country, Ohioans collected scrap, grew victory gardens, and lived with rationing. They purchased war bonds, operated Red Cross and USO centers, and performed myriad Civil Defense duties. Their men went to war or worked in the defense industry, and their women joined the ranks of the employed, doing their bit to ensure the future of freedom. Talkshow Thursday: Welcome Back, June Foster!